All businesses have to be mindful of their spending and no one wants to be splashing the cash around unless they’re sure they will reap a return on their investment. So, is it worth investing in an updated web design for your company, or is this the exclusive preserve of big brands and household names? Your website is a powerful and incredibly valuable asset that enables you to reach potential customers worldwide. You can use this platform to quickly and efficiently communicate your information about your business and to raise the profile of your brand. 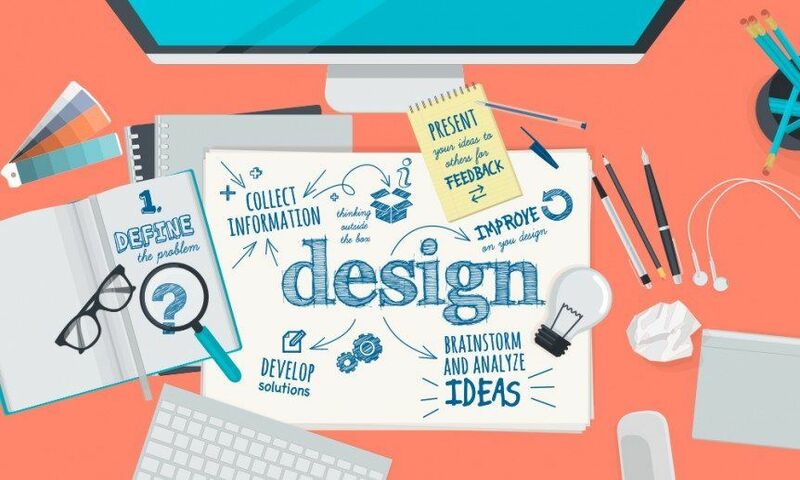 That’s why evaluating whether an overhaul of your website’s design would be beneficial makes absolute sense for the continued success of your business, no matter how large or small you might be. It’s easy to think that after the initial outlay your website is good for life. However, just like everything your business invests in, from your IT systems to your human resources, your website will need care and attention to ensure it’s performing as expected. That’s why the occasional revamp can really help you get the most from your website. One of the main focuses of your website review should take into account how easy your website is to use. Are your customers having difficulty navigating your website or struggling to find the information they’re looking for? If so this is something you urgently need to address. If your users can’t get to what they want quickly and easily, then there is a real risk that you could be losing potential customers. Today’s internet user is far more tech savvy than they were even five years ago and they tend to seek a far more simple and streamlined experience, people just don’t have the time to wade through a confusing and poorly laid out website. Everything on your website should be as intuitive as possible. Your website is a reflection of your organisation, so if your website comes across as disorganised and confused, the chances are your business will do. The visual appeal of your site can also make a difference to how customers perceive your brand. Whilst you don’t necessarily need to jump onto every fleeting design trend, it’s is still important that your website doesn’t look dated or tired. If you do have a website that looks more 90’s than a Brit Pop reunion your competitors, with their sleek and engaging websites, could easily capitalise on this – effectively stealing customers from right under your nose. Technology moves on at such a pace these days and the same applies to the technology of the web. Websites are generally faster, smarter and more flexible than they’ve ever been. Just think if it takes longer than a few seconds for your website to load, a user could easily lose interest and head off elsewhere. It’s a well known fact that mobile browsing has now overtaking desktop browsing. That’s why it’s more important than ever to ensure that your web design is mobile-friendly and works well on smart phones and tablets. People expect to have easy access to the information on your site, regardless of the type of device they’re using. Failure to meet this need causes your users inconvenience and is yet another reason why they might hit that back button, never to return. Responsive websites are the order of the day and are a straight-forward and logical solution to the growing issue of increased mobile vs. desktop browsing habits. It’s absolutely crucial to ensure that the content on your website is up-to-date and relevant to your potential customers. If your website doesn’t reflect where your business is today, or if the content is hard for you to update, this could be yet another sign that your website is in need of some attention. Here are Freshly Squeezed Design, we understand how important it is for modern businesses to be able to easily manage and quickly update the content on their website. That’s why all of our websites utilise a Content Management System [CMS], which gives our clients remote access to their website so that they can change or update content whenever they need to – even if they have no technical knowledge whatsoever. To find out more, give us a call on 0800 002 9267 and find out how we can help your company get the web design you need.